Why Hasn't He Resigned Yet? The baffling refusal of Eliot Spitzer to resign after his dealings with a high-priced prostitution ring were exposed by the New York Times has some experts worried that Spitzer might be destroying documents or other evidence of wrong-doing. On Wall Street, where Spitzer once posed as town Sheriff, fired employees or those under investigation by authorities are often escorted immediately from the office. One reason for this is to prevent them from destroying emails or other electronic paper trails. Another security expert employed by a major Wall Street firm said the situation reminded him of Watergate, when Nixon administration officials considered destroying tapes that Congress had sought. "These guys are desperate and have nothing to lose. It&apos;s clear he needs to go and the only reason I can think of for delaying is to cover something up," he said. Of course, we have no idea if these fears are well-founded. 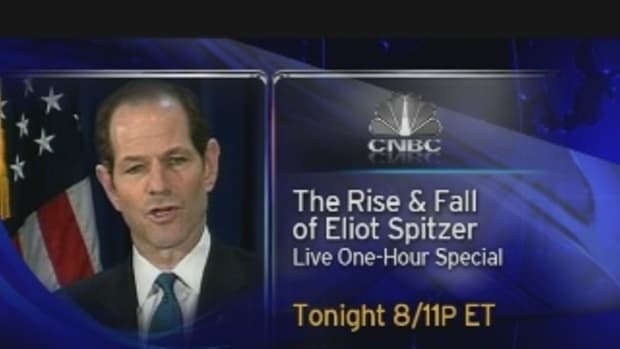 Since yesterday&apos;s announcement, Spitzer seems to have gone into hiding.